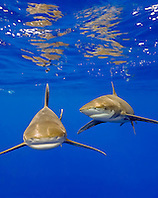 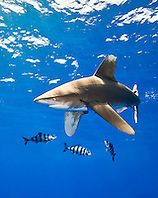 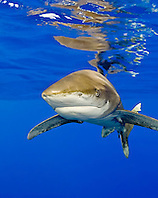 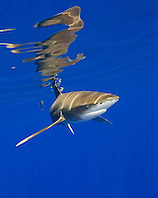 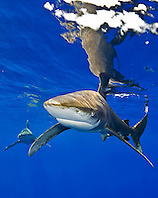 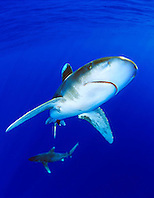 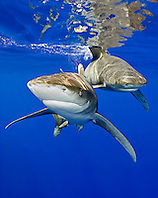 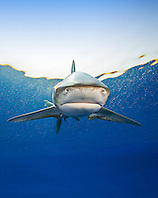 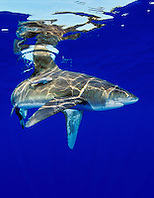 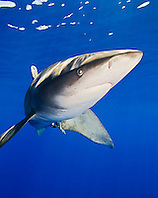 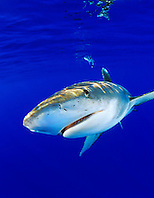 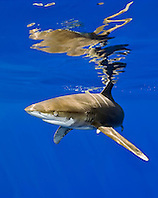 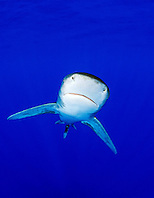 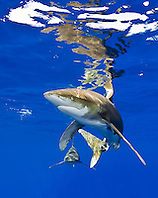 The oceanic whitetip shark, Carcharhinus longimanus, is a large pelagic shark of tropical and warm temperate seas. 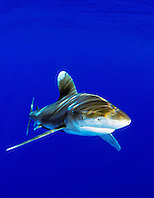 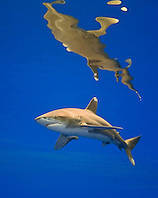 It is a stocky shark, most notable for its long, white-tipped, rounded fins. 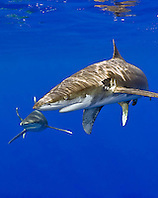 This aggressive but slow-moving fish dominates feeding frenzies, and is a danger to survivors of oceanic shipwrecks and downed aircraft -- it has attacked more humans than all other shark species combined. 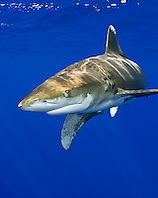 Recent studies have shown that its numbers are in steep decline as its large fins are highly valued as the chief ingredient of shark fin soup and, as with other shark species, the oceanic whitetip faces mounting pressure from fishing throughout its range.